A Junk-Foodaholic's Journey to a Healthy Lifestyle: Happy New Year Everybody! I hope y'all brought in the New Year safely. Here's to a Healthy, Prosperous, and Happy New Year to you all! 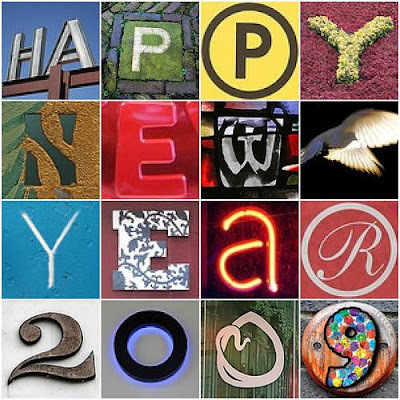 I hope 2009 is wonderful for you and your family! Happy New year to you and your family, Laura. I hope 2009 is a banner year for you guys. Thank you for supporting my blog and I look forward to seeing you guys in 2009. Just dropping by to wish you, Paul and the family a Happy New Year! A Happy and Healthy New Year to you and yours from She Lives! Happy New Year! Wishing you and your family the best. I love that sign, Happy New Year! I'm a little late! Happy new year, Laura. It's gonna be a great year, I know it! And a Happy New Year to you too ... let's hope it's a good one. Hi Laura, I have really enjoyed your blog over the past year! AND thanks for all the support of my blog! It is much appreciated! Looking forward to a great 2009! Best wishes for a happy, healthy and prosperous New Year! I hope y'all had a great New Year's Day. We sure did. It's a family tradition of ours to all go to my Mom's house (20+ family members). We had black eyed peas, cabbage, mustard greens, turkey, ham, hash brown casserole, and sweet potato biscuits! Oh my goodness, was it ever good! I told Mom she'd outdone herself... again! Please forgive me for not addressing each of you individually. I sure hope this year is great for all of us!